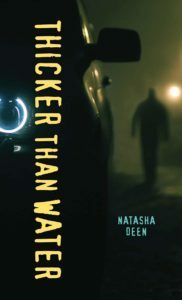 Happy Book Birthday to THICKER THAN WATER by Natasha Deen! 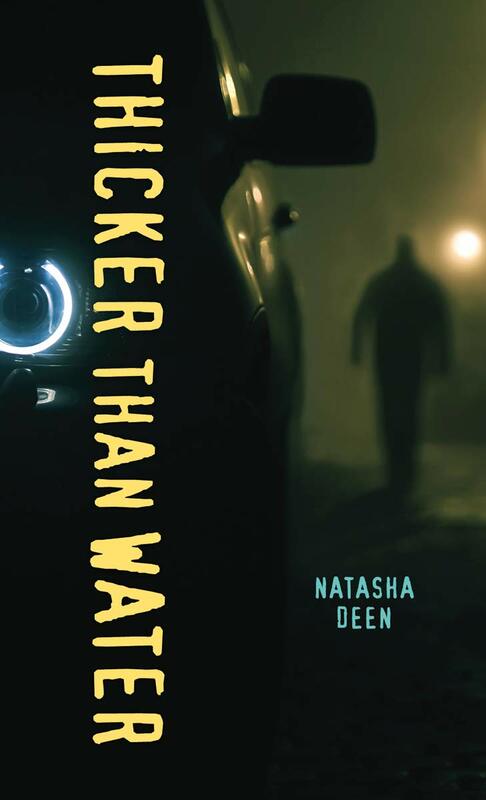 Happy Book Birthday to THICKER THAN WATER by Natasha Deen, out January 29, 2019 from Orca Book Publishers! THICKER THAN WATER follows Zack Bernard, who has a thing for crime shows, especially the forensic-investigation kind. So when his friend Ella goes missing, Zack can’t help piecing together what he thinks is concrete evidence that could lead to her whereabouts. The problem is, it’s all pointing toward his dad. He knows his dad is lying about not having seen Ella because Zack saw them together at the mall the day she disappeared. What he doesn’t know is why. With the help of his friend Ayo, Zack tries to solve the mystery himself to avoid having to make the terrible choice between losing someone close to him and betraying his family. Award-winning author Natasha Deen loves stories: exciting ones, scary ones and, especially, funny ones! As a kid of two countries (Guyana and Canada), she feels especially lucky because she gets a double dose of stories. When she’s not working on her books or visiting schools, she spends a lot of time trying to convince her dogs and cats that she’s the boss of the house.